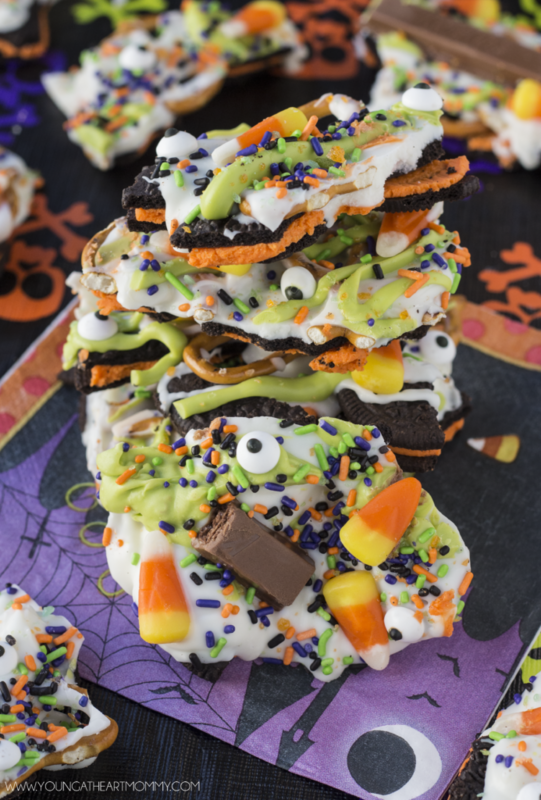 Make Halloween extra sweet and a little bit spooky with this easy to make Pop Rock Candy Bark. 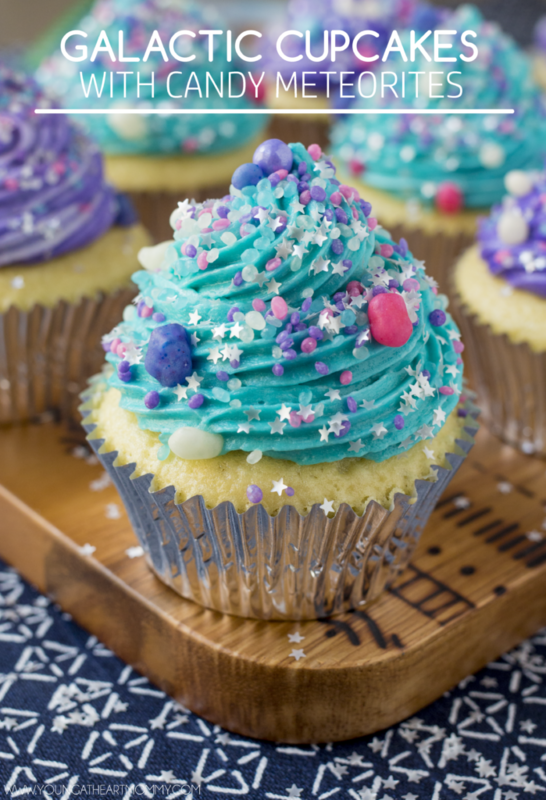 It has a little bit of everything tangled between layers of white chocolate and a fun popping sensation that the kids will LOVE! Trick or treat. Smell my feet. Give me some Candy Corn Saltine Toffee to eat. It’s sweet, salty, and topped with the most popular Halloween candy! 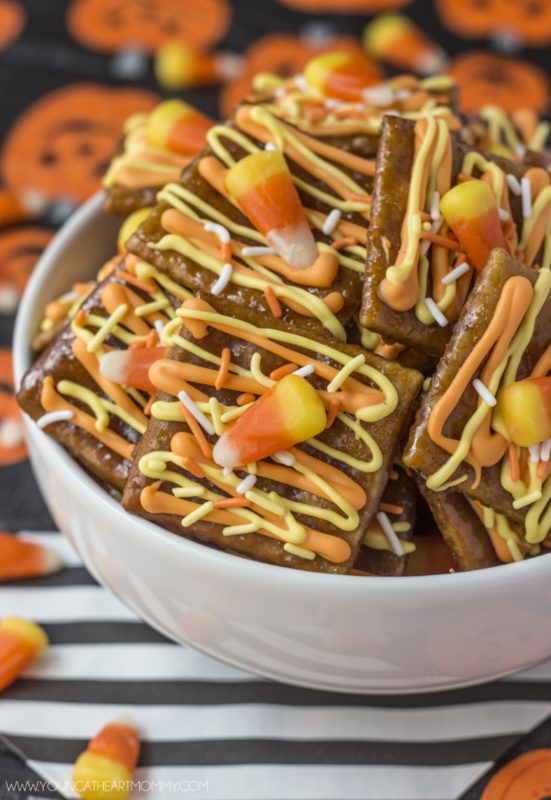 Make these sweet & salty Caramel Pretzel Pumpkin Patch Bites for Halloween or to satisfy your sweet tooth this fall season. 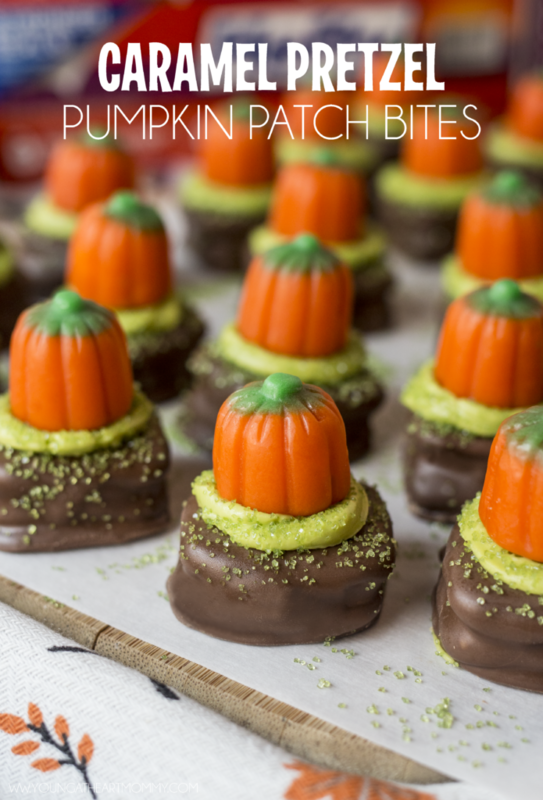 Looking for a colorful and creative Halloween treat to serve to your little ghouls this year? 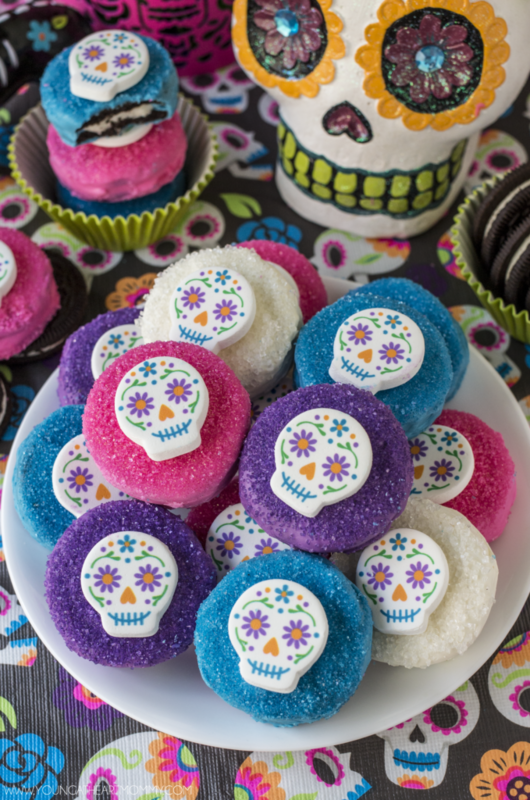 These vibrant Sugar Skull Oreo cookies are easy to make and inspired by one of my favorite movies, The Book of Life. Fall has finally arrived. The temperature is dropping, leaves are changing colors, and the fan favorite Pumpkin Spice Latte is back! Swap out your flip-flops for boots, tank tops for tunics, swimsuits for sweatpants, and enjoy seasonal Starbucks® staples from the comfort of home. 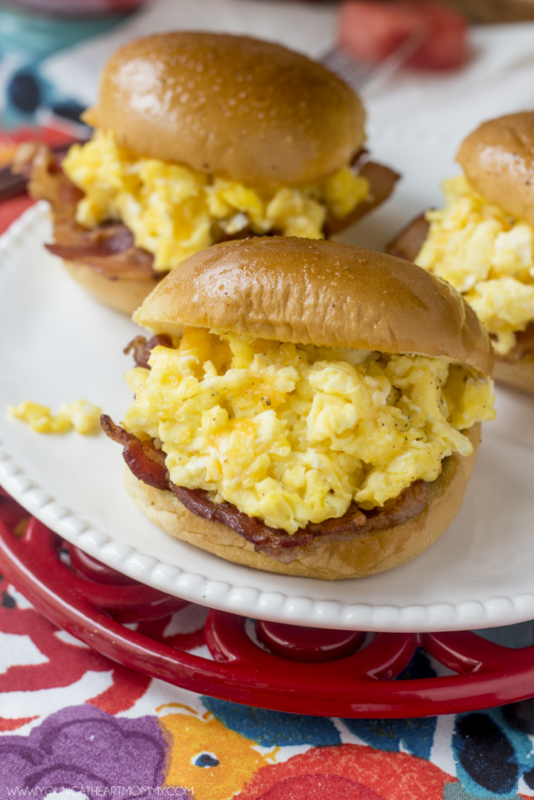 Step up your breakfast game during back to school season by using the classics to create Cheesy Scrambled Eggs & Bacon Breakfast Sandwiches the whole family will enjoy. 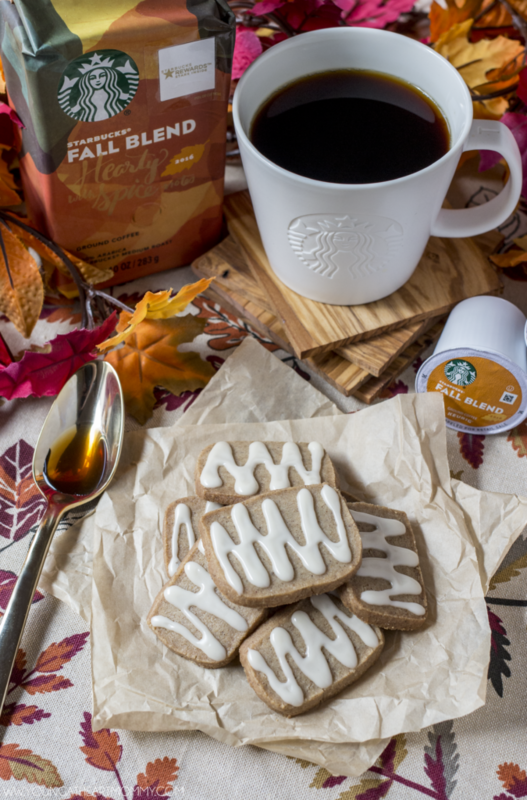 As a member of the Starbucks Coffee Blogger Community I received samples to facilitate this post. As always, all opinions are my own! Celebrate the end of summer with this delicious Labor Day friendly Very Berry Salsa paired with homemade Cinnamon Sugar Crisps. 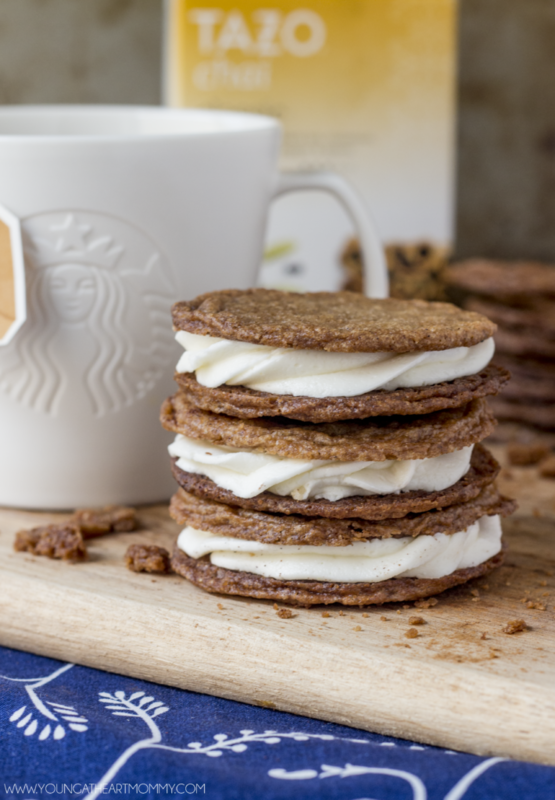 Take a step back from scheduled summertime activities and treat yourself to a freshly brewed cup of TAZO® Chai Tea paired with a stack of Cinnamon Cookie Cream Sandwiches. This #LoveYourBread post is sponsored on behalf of Arnold® Healthfull® Bread. However, all opinions are my own. 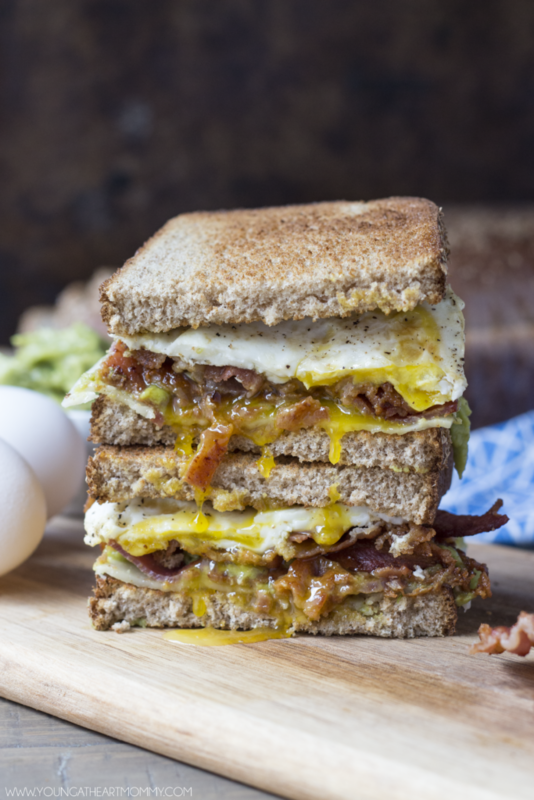 Start your morning off with a delicious breakfast sandwich layered with bacon, guacamole, cheese, and a perfectly fried egg. This medley of flavors is worth waking up for!